After failing to Repay Loan a Man sells his Daughter………. A man handed over his eight-year-old daughter to an elderly landlord as a mortgage after failing to pay him back Rs100,000 loan in Tando Bago town. 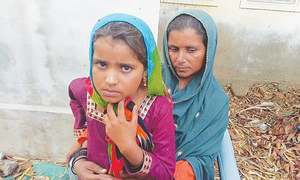 The shameful deal came to light when Ms Soomri Machhi approached Tando Bago police station and complained that her husband Achar Machhi had sold off her daughter Nazia, 8, to an old landlord Ali Murad Chandio in Pathan Water village near the town. Police raided the village to recover the girl and returned her to her mother who accused his husband of having sold the girl for Rs100,000. Tando Bago SHO Ali Anwer Leghari confirmed the girl had been sold and said further investigation was under way. Police did not register an FIR nor made any arrest in the case. The family of slain Abdullah-Ibn-Aijaz, a 15-year-old militant, claimed that their grandson was among the al-Qaeda militants killed in the US drone strike. 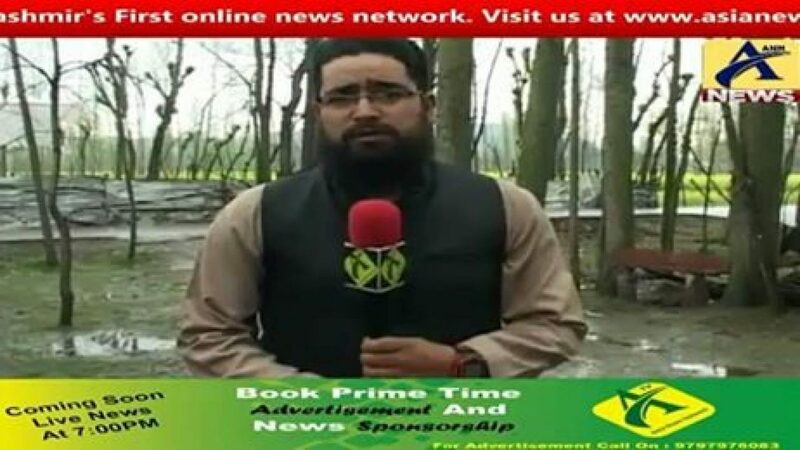 Abdullah Ibn-Aijaz alias Abu Umair, is a son of Aijaz Ahanger, a former Kashmiri militant of Harkatul-Mujahideen, who was reported missing by his family in 1995 but had actually crossed the border and lived in Afghanistan. Abu Umair was also grandson of Abdullah Gazali, a former chief of Tehreek-ul-Mujahideen outfit who resides at a village in Berwah pocket of central Kashmir. Ghazali, originally Abdul Ghani Dar, was one of the oldest militants when he was captured by the government forces in 1992 as the chief of TeM. “I was arrested in 1992 and lodged at Rangret jail,” Dar, told Kashmir Reader adding that he among others he met a young, noble, sincere and handsome boy Ajaz Ahmad Ahanger, a resident of Nawakadal area of Srinagar, inside the jail. Ajaz was a militant, and was arrested and detained in the same jail,” he added. “After we were released, I decided to marry one of my daughters with him. He accepted the proposal and marriage was solemnized in 1995,” he said. He said that after his release, Ahanger was not allowed by the forces to live a normal and peaceful life. “A few months later he went missing and didn’t return ever since,” Dar said. He said that a few months later, a militant told them on his arrival from Pakistan that he had spotted Ahanger there. He said that Ahanger later shifted to Afghanistan and remained in touch with the family on telephone. He said that the family attempted to persuade him to return but he refused. Finally, his son and wife were sent to Afghanistan on a valid passport. They (Ahanger’s wife and son) even returned in 203 and stayed with the family back home for three months. Aijaz Ahanger has four children-two sons Abdullah and Muhammad and two daughters, Sayima and Sabra. Both his sons have joined Al-Qaida. “Abdullah Ibn Ajaz-15 was the elder son and got martyrdom on 20-July this year in US drone attack,” Dar told Kashmir Reader. We got a call from them on Friday informing us that Abdullah-Ibn-Ajaz has been killed along with his three associates, in a drone attack. (KR). Train Services Suspended today between Srinagar and Banihal, Baramulla to Srinagar Train to Operate as Normally: Railway Authorities……..
Railway authorities on Monday said that train service between Srinagar and Banihal has been suspended for the day however service between Srinagar and Baramulla will run normally. The decision to this effect has been taken in view of the situation arisen after the killing of two Hizb militants in Pulwama yesterday. Calling PDP a party of hypocrites, AIP Supremo and MLA Langate Er. Rasheed has expressed surprise over party’s seeking help from Huriyat leadership to end up militancy. While interacting with a group of youth from Srinagar, Er. Rasheed said that on one side PDP leadership begs Huriyat for peace and seeks its intervention to end militancy but on the other hand, the party has bundles Huriyat leaders to New Delhi for getting them humiliated at the hands of investigating Agencies, Indian media and politicians. Er. Rasheed said “How can Huriyat help in ending militancy if New Delhi has made Huriyat defunct and is ignoring the basic fact that Huriyat is creation of militancy and militancy is not their creation. Whatsoever Mehbooba Mufti has said in Srinagar during Public Meet on Kashmir dispute is nothing but to strengthen New Delhi’s weak view point on Kashmir, make pro-resistance leadership irrelevant and mislead the world community. She needs to learn that it is only UN resolutions and nothing else that make J&K an internationally recognized dispute. Let Mehbooba Mufti realize that main stream has failed to deliver since 1996, when first time elections were held and main stream promised stars and moons from the sky. 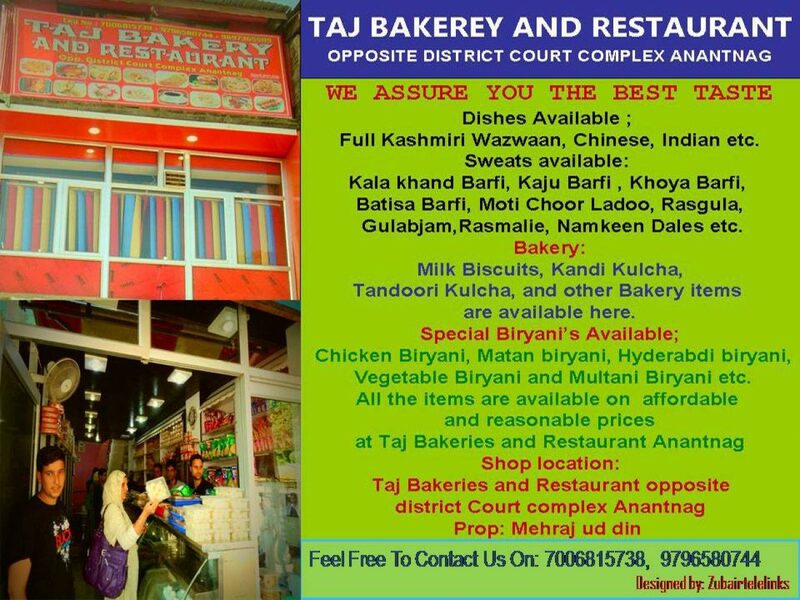 Due to its own utterances and politics of deception main stream has lost the right to speak over Kashmir issue and anything spoken by the major main stream parties will be seen as an desperate attempt to restore the credibility of the bulldozed main stream”. Er. Rasheed asked Mehbooba Mufti to explain that if Party seeks help f resistance leaders and at the same time puts them behind bars, why should Mirwaiz be not allowed to put forward his view point over the allegations leveled against him by various agencies. He said “It is shameful that while Govt. accuses Mirwaiz of making money out of the movement, Govt. is stopping him from speaking the truth. People would have been the best to judge what Mirwaiz is speaking. By not allowing him the press conference Govt. has exposed itself and it is proven beyond doubt that due to fear of exposing the Govt. and its agencies, Mirwaiz was not allowed to speak and New Delhi wants him to say only that part of the story what may suit to it”. Over a dozen persons were injured after government forces used live ammunition and fired tear gas shells to disperse protesters in Tahab and other areas of Pulwama district in south Kashmir following the death of two militants in a gunfight on Sunday. Sources said that Asif Ahmad, a resident of Lassipora, was hit by a bullet in his chest. He was shifted to District Hospital Pulwama for treatment. Clashes erupted in Tahab village and Pulwama town after two militants were killed in a gunfight with government forces early Sunday. Internet services were suspended in Pulwama district of south Kashmir following the killing of the militants. The slain militants have been identified as Shariq Ahmad Sheikh of Takuna Pulwama and Shabir Mir of Mihind village of Anantnag. Pahalgam Accident Update: Two Died, Two Injured in an accident at Pahalgam Anantnag………. Two persons died and two others got injured in Pahalgam today afternoon after a i20 Vehicle ( No- JK01W- 8167 ) collided with a Pine Tree near Betab Valley and the tree was uprooted and fell on the passers by. The deceased have been identified as 12 year old Uzma Hameed daughter of Abdul Hameed Bhat resident of Kandizal, Pampore , and Hilal AhmadBhat son of Abdul Razzaq resident of Bemina, Srinagar . The dead bodies have been shifted to Pahalgam Hospital while as injured persons were shifted to Anantnag hospital. The injured have been identified as Imtiyaz Ahmad Jala son of Mohammad Sultan and Fazil Yousuf son of Mohammad Yousuf both residents of Bemina, Srinagar. The Vehicle also got damaged and the driver got minor injuries. A pal of gloom descended on Pampore town after the news of the tragic death of Uzma spread in the town. (PTK). Bangladesh National Arrested In Tral, Was Wandering to Meet Zakir Mossa to Join Militant Ranks………..
A Bangladesh national identified as Noman was arrested by the security agencies at Tral on Friday.Noman had allegedly crossed the border illegally and was wandering to contact militants of any outfit to join jihad. Sources said he tried to meet new Al Qaeda Kashmir commander Zakir Musa in Tral area of South Kashmir.During questioning, he told interrogators that he wanted to join the jihadis in Afghanistan, and local militants would help him.Earlier this month, an Afghan national living illegally in Baramulla district was arrested by the security forces. He wanted to return to Afghanistan via Pakistan by crossing the Line of Control. (PTK). You Cannot Debate Special Status of J&K without Debating Accession: Omar Abdullah……. Outfits seeking debate on the special status of Jammu and Kashmir are “playing with fire” as the issue is linked to the state’s accession to India, this was stated by former chief minister and National Conference working president Omar Abdullah. Omar was speaking at the event ‘Understanding Kashmir’, hosted by social group ‘BRIEF’. Omar was responding to assertions made by Attorney General K K Venugopal that the NDA government wanted a “larger debate” on Article 35A which provides special rights and privileges to the people of Jammu and Kashmir. “How can you debate special status of Jammu and Kashmir without debating accession? You can’t. They are two sides of the same coin. J&K acceded to India on the special status that was granted to it,” Omar is quoted to have said. He said the BJP needs to understand that the outfits which are bringing this up are “playing with fire”. “It’s these sort of steps that glamorise Azaadi,” he said. Omar reiterated that accession of J&K to India is final and any solution should come from within the four walls of the constitution. Referring to former Prime Minister Atal Bihari Vajpayee’s statement that one can change friends but not neighbours, he said a “positive and constructive” engagement with Pakistan is a necessity to find a solution to the Kashmir problem. Blaming the Centre for the “shrinking” of political space for mainstream parties in Jammu and Kashmir, Omar said it has become popular to blame Pakistan for everything that is happening in the state. “It’s not just mainstream players in Jammu and Kashmir who are responsible for what is happening. The Union of India is responsible, whether it was the UPA or the NDA government. It’s popular to blame our neighbour for everything that is happening in the state but it is not true,” he said. The former chief minister said while the country knows that Pakistan fishes in troubled waters, “we also know that they are not the creators of the agitations we have seen in 2008, 2010 or 2016”. Omar said the erosion of political space this time has been far more rapid than it has been in recent years and cited the state government’s failure to conduct an election in south Kashmir. “This is the first election in J&K that the Hurriyat conference has won, because since 1996 they have been saying that elections should not take place. There should be a boycott. Elections should be disrupted. On the back of the protests, you cancelled that election and handed victory to them,” he is quoted to have said. Omar said it was not just the political space of the regional parties that has shrunk, “even the ability of the government of India and the Election Commission has shrunk to the point that you put your hands up and walked away”. Encounter at Tahab Pulwama, Two Militants Killed in Gunfight……..
Two militants were killed in a gunfight in Tahab area of Pulwama district in south Kashmir on Sunday. “The exchange of fire began today morning after militants tried to flee. Two militants were killed in the operation,” they said. Their identity was not immediately known.